We’re pleased to show off on of our latest websites. 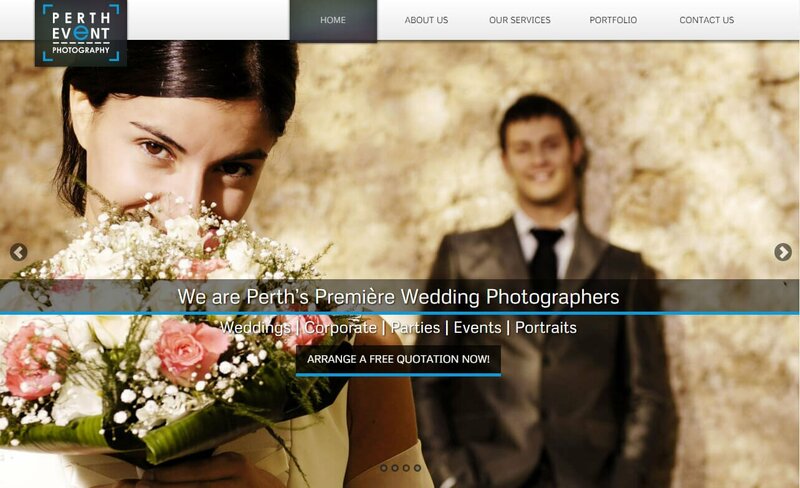 Perth Event Photography provides Wedding Photographer Services around Perth. We hadn’t done many wedding photography websites in the past, so to ensure the website could be maintained efficiently, we decided to make some new plugins and a template especially for the task. Images are automatically optimised and resized for Perth Event Photography without any time consuming Photoshop processing. Wedding Photography involves the upload of some extremely large albums, so good quality compression tools are essential.